Brian Mackenzie is a human performance and movement specialist, and the innovator of the endurance, strength and conditioning paradigm. Originally, I brought Brian on the show to talk with him about performance breathing (which we do discuss! ), but our conversation ends up traversing some fascinating terrain on the topics of harmonizing with the natural world, conditioning your body for adaptation through hormesis, how practicing discipline can actually give you more freedom and why specialization is less than optimal. Brian Mackenzie is a human performance and movement specialist. He is the innovator of the endurance, strength and conditioning paradigm. He has studied performance and movement for more than a decade along with altitude, hypoxia, breathing mechanics, E-Stim, recovery and many other research and development projects. Brian has participated in Ironman (Canada 2004) including running the Western States 100 and the Angeles Crest 100 mile endurance runs. 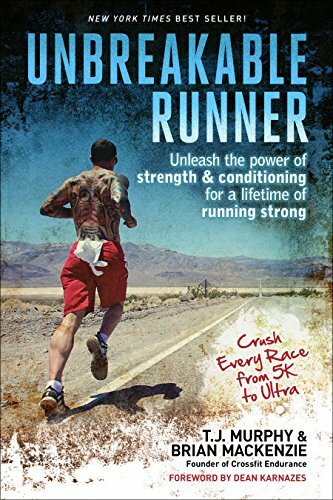 He co-authored the book “Power Speed Endurance”, and NYTimes Best Seller UnBreakable Runner. 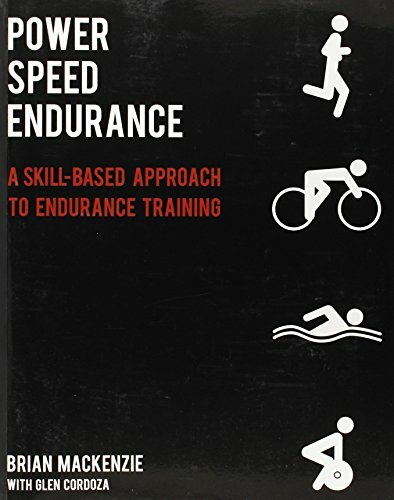 He founded and created Power Speed Endurance (PSE), formerly CrossFit Endurance, which specializes in movement & skill development with an emphasis in running, cycling, and swimming mechanics. MacKenzie’s program has taught over 50 seminars per year (on avg since 2007) worldwide and provides free programming via PSE. MacKenzie and his programs have been featured in Muscle & Fitness, Men's Health, Competitor Magazine, Runners World, Triathlete Magazine, Men’s Journal, ESPN Rise, The Economist, Tim Ferriss’ New York Times bestseller The 4-Hour Body, Men’s Running UK, LA Sport & Fitness, Muscle & Performance Magazine, and Rivera Magazine. Brian has worked with professional athletes with the likes of Laird Hamilton, 10X Molokai to Oahu Paddleboard Champion and big wave surfer Jamie Mitchell, Mark Healy, Kai “Borg” Garcia, CrossFit Games athletes Rich Froning Jr (4X CrossFit Games Champion), Annie Thorsdottir, Danielle Horan and many others. He has worked with Erin Cafaro (2X Olympic Gold Medalist in Rowing – W8+, Wife), Taylor Ritzel (2012 Olympic Gold Medalist –W8+), Sara Hendershot (2012 Olympian – W2), along with several other professional and elite level athletes in sports spanning from Triathlon, Running, MMA, Swimming, Cycling, Rowing, Surfing, Base Jumping, to US Navy SEALS, Army Rangers and many other Military units.